No matter where you live, any moving company you contact will require specific detailed information to provide you with an accurate moving quote. Moving estimates are actually relatively easy, once you learn how movers determine their prices. You must make sure to show the moving company absolutely everything you expect them to move, including those things in your garage, basement, attic, and storage units. When it comes to pricing, long-distance moves are billed using a different method than local moves. Local moves are considered those within 100 miles of your current location. Among other things that must be considered for your move are the number of employees needed and sometimes the number of trucks and trips needed to complete the move. The average moving quote will include a number of items such as drive time to your home, packing material costs, time to load the truck, drive time to your new home, time to unload the truck, and of course any other services you have requested. These services might include paying for the extra time needed to have the movers help you move your furniture around in your new home as you try to determine its final position. Local moving estimates are typically considered non-binding as the bill can go up or down based on the work itself. Packing your household can take up a lot of time, but if the packers finish up sooner, your bill may end up lower than the original quote. On the other hand, long distance moving quotes are usually considered to be a binding contract, which means the moving company must stick to the quote you are given. Your long distance moving estimate is most commonly determined by the number and weight of your household goods, and the distance you are moving. 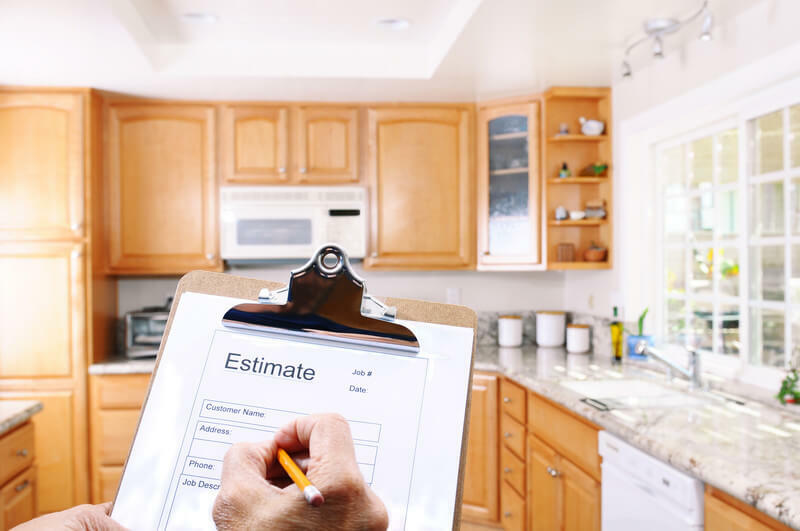 Reputable moving companies will send an estimator to your home who is experienced in asking the right questions to ensure the accuracy of the estimate you receive. Most reputable moving companies are likely to offer different options for add packing services to keep your property protected. One would be to pay extra to have a team of professionals pack everything for you. Another option would be to have the movers pack your most valuable items, ensuring their safety. Keep in mind that if you pack your own possessions, the movers are not responsible for any damage that might occur during transportation. Getting an accurate quote at the outset is the best idea for both you and the moving company you choose. Be sure your moving quote is as detailed and precise as possible. For more information and an accurate quote for your next move, contact Advantage Moving & Storage today!